Today I am sharing my versions of the latest two blocks in the Splendid Sampler Sew Along - Local Quilt Shop & Iowa. I am a big fan of the technique of paper piecing so I was very happy that Jane provided a paper piecing template for her design, "Local Quilt Shop". House blocks are some of my favorite. I have made many for friends in the Cocorico Bee. You can find a few [HERE] and [HERE]. Iowa, designed by Sherri McConnell, is an adorable block. I chose to make it scrappy in pinks and reds. The corner background fabric is from one of my favorite vintage feed sacks. The center fabric is a prized Japanese fabric I have had for years. 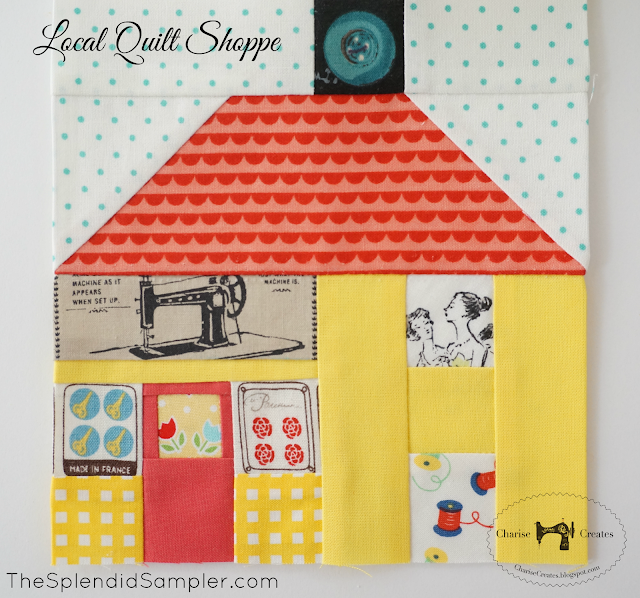 Be sure to head on over to TheSplendidSampler.com to get the patterns! Beautiful blocks. 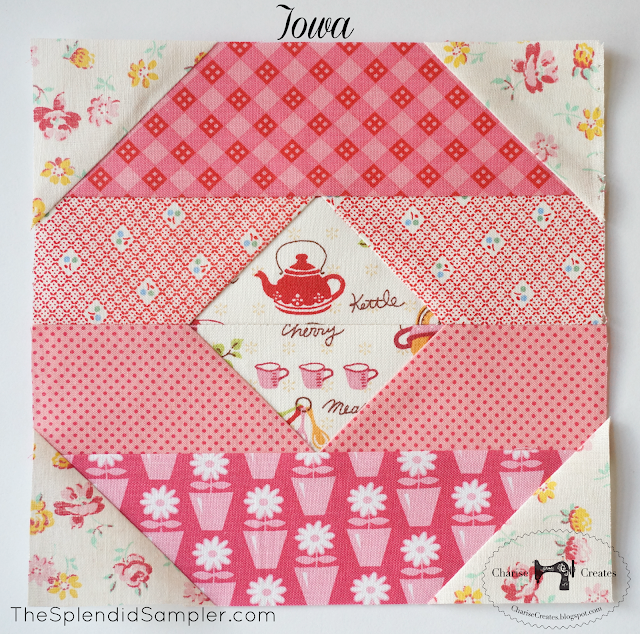 Love all the fussy-cutting you did - it makes each block so much more special! 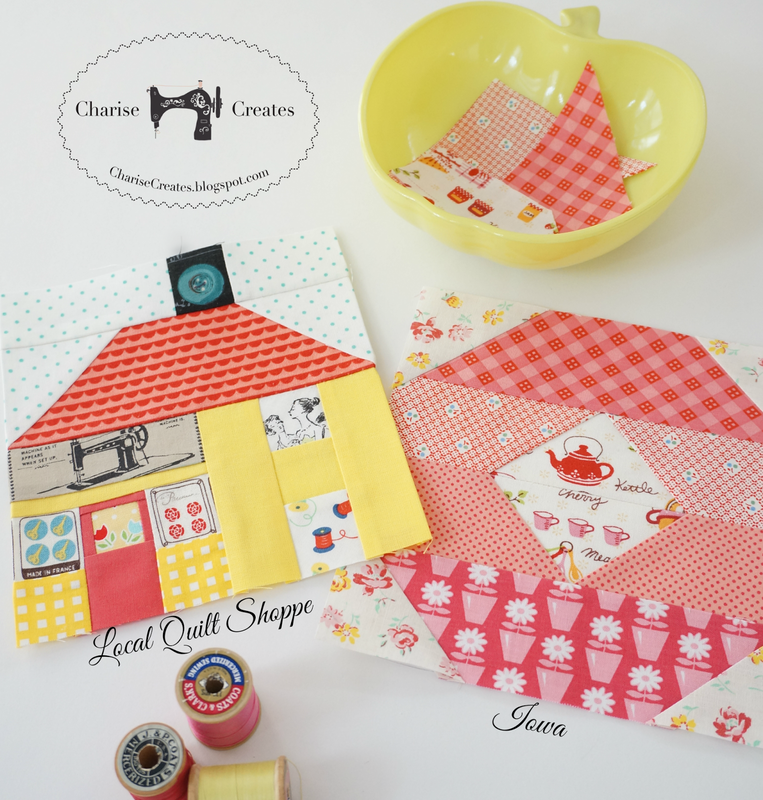 Do you know the brand of the yellow gingham? You have such a way with fabric selection. I love these. The patterns for both are waiting for me, but the sun came out and I had to take advantage of that and get outside!